Flexibility and control have long been touted as the perks of being your own boss and now self-employed Australians can add financial comfort to the list of advantages. A new study has found self-employed Australians feel more financially secure than wage and salary earners, even if they aren’t paid as much. ME Bank’s latest Household Financial Comfort Report found full-time self-employed people rated their financial comfort at 6.9 out of 10, up 24 per cent in the six months to December 2014. Full-time self-employed workers reported the highest financial security in Australia’s labour force and the highest since the report began three years ago. Financial comfort rose across all segments of the labour force, including the unemployed. However, part-time self-employed workers are not feeling as secure as their full-time equivalents, reporting a 5.5 out of 10 financial comfort rating. The financial comfort rating is based on a survey of 1500 Australians, who are asked a range of financial questions about issues including savings, cost of living and retirement. At 6.7 out of 10, full-time self-employed workers reported the highest comfort level with their cash savings, up 41 per cent from the previous survey in June 2014. And 7 out of 10 said they were happy with their ability to handle a financial emergency. A further 6.7 out of 10 were comfortable with their future standard of living and 6.9 out of 10 were confident about the year ahead. ME consulting economist Jeff Oughton says positive working conditions had made self-employed people optimistic about their futures. “Self-employed workers have become much more confident and comfortable about availability of work and job security, which flows through to their cash savings and their income,” he says. Worries about the flow-on effects of the federal government’s budget had less impact on the self-employed compared with full-time employees, Oughton says. About 40 per cent expect to be worse off, compared with over 50 per cent across mainstream workers. 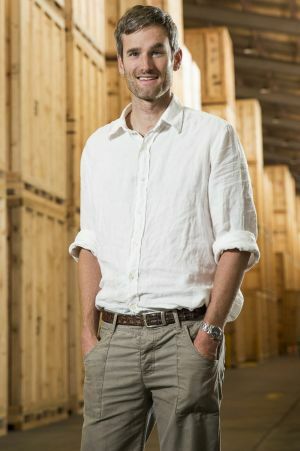 Choosing your own working hours, particularly around family life, is a standout feature of being self-employed, Supercheap Storage founder Edward Thirlwall says. “If the kids are sick and one of them needs to be picked up, it’s no problem,” he says. Thirlwall was a nine-to-five worker before operating his own restaurant and bar and then launching his mobile storage business in 2008. He employs 100 people. Although Thirlwall says there have been many times he has thought about getting a “regular job”, the freedom of running his own business is too good to give up. “When you run your own business you can grow your income, your future is dictated by you,” Thirlwall says. “It’s the freedom to write your own timetable and also to have creativity, because business is quite creative when you’re growing. However, there are obvious drawbacks to being in charge of your livelihood, say Miranda Kent and Anna Gurry, who left their management careers to launch online gift company The It Kit in 2011. They have a similar income to the amount they earned as employees. However, giving up the stability of a guaranteed income plus benefits to branch out and start your own business is risky, Kent says. “The fear of the unknown can, at times, be daunting when you have moved from a stable income with fixed annual increase and benefits of superannuation, sick leave, maternity leave to running a small business with a negative cash position, instant overheads [and] no guarantee of success,” Kent says. The failure rate of start-ups is both inspirational and unnerving, she says. “That statistic of 60 per cent of new businesses fail is always in the back of your mind, but it is also a great motivator to get out of bed in the morning and work harder to achieve your goals,” Kent says. This entry was posted in PEOPLE, SECURITY on February 22, 2015 by Henry.